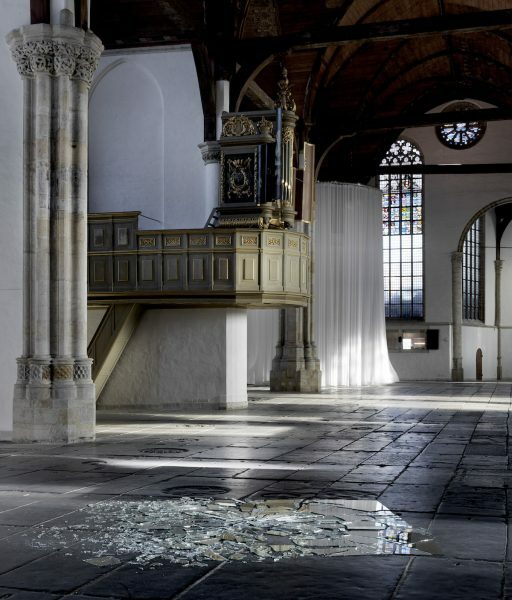 From 24 November 2016 to 26 March 2017, Marinus Boezem’s new site-specific works will be presented in Oude Kerk. 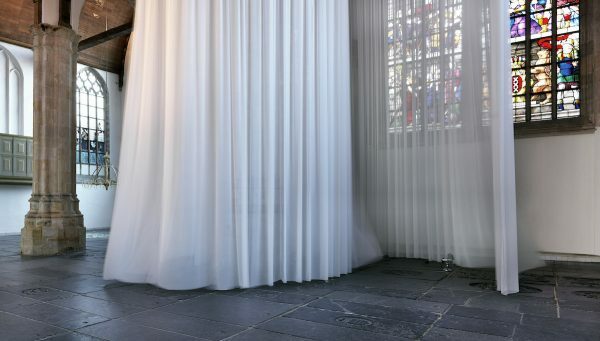 In this church, the oldest building in Amsterdam, he creates new work in which you disappear and reappear. 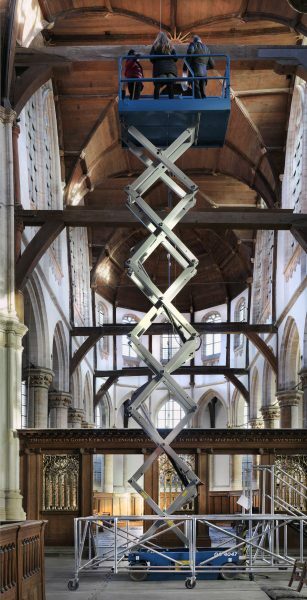 Boezem approaches the idea of the building as a vehicle or conveyor that lifts the individual from his earthly existence – sometimes literally, using the principle of the force of gravity. 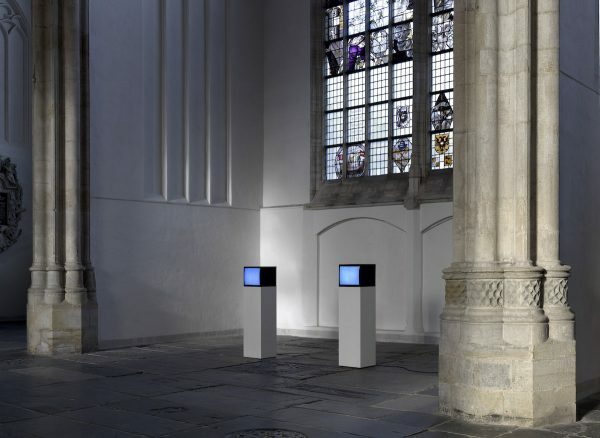 The crux of this exhibition is Boezem’s new work: a transports you to the top of the church up to the highest church window – like a deus ex machina. 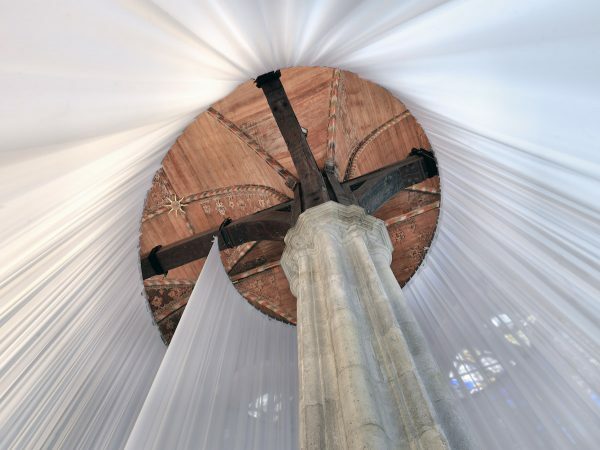 From a dizzying height you can view the monumental church from a whole new perspective. Look closely, and catch a glimpse of the personal message that the artist has left somewhere up on high. 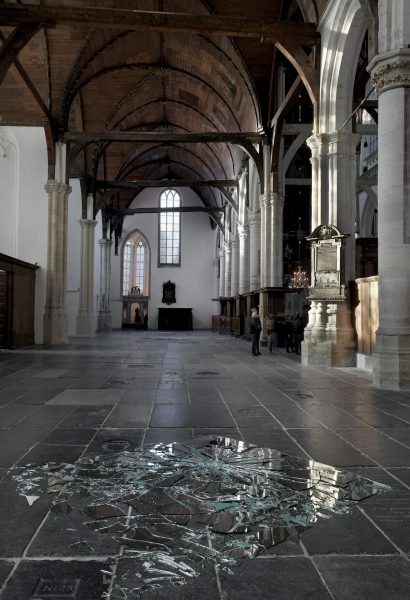 Boezem is considered to be one of the founders of Dutch conceptual art. A certain levity is quite typical of his work, for which he often makes use of intangible elements such as wind, air and transparency. 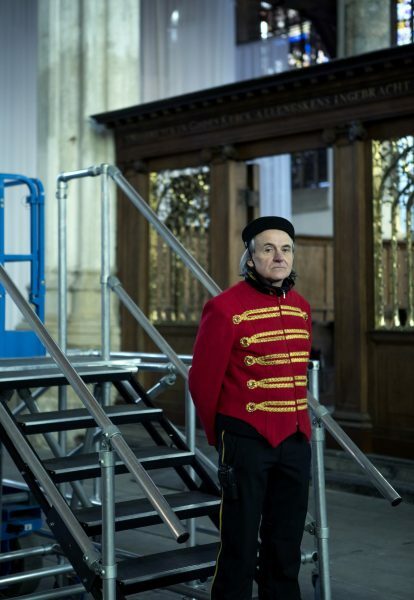 He has a profound fascination with Gothic architecture, particularly cathedrals, which he sees as a metaphor for the human desire for spirituality. Cathedrals embody our desire to fly, to rise up and leave all earthly things behind. One of Boezem’s most famous works is the Green Cathedral (1978-2016) in the Dutch province of Flevoland. Still visible today, this project consists of 178 poplars planted in the form of the full-size plan of Reims Cathedral. The result is a cathedral of trees, with the sky as a canopy. This plan has become Boezem’s personal logo. The exhibition’s curatorial team consists of curator Lorenzo Benedetti and director Jacqueline Grandjean. 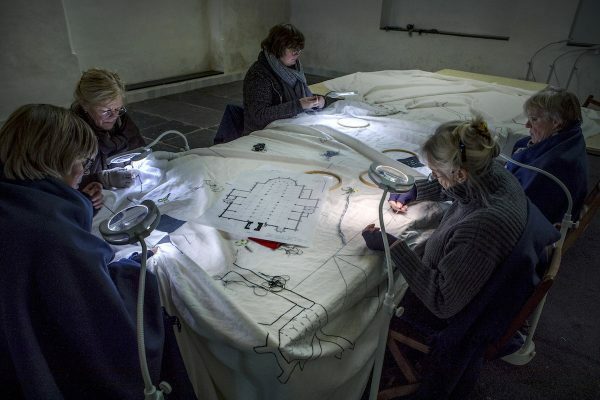 In correspondence with the exhibition curators Julia Mullié and Nick Terra planned a performance programme, which presents work by a new generation of artists that includes Béatrice Balcou, Abner Preis and Yuki Okumura. 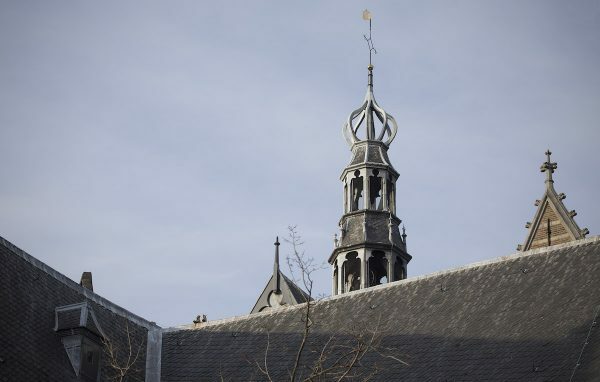 The program considers the work of the artists’ predecessor Marinus Boezem as a starting point. This special programme was developed for and will have its premiere during the Amsterdam Art Weekend (24 to 27 November 2016). 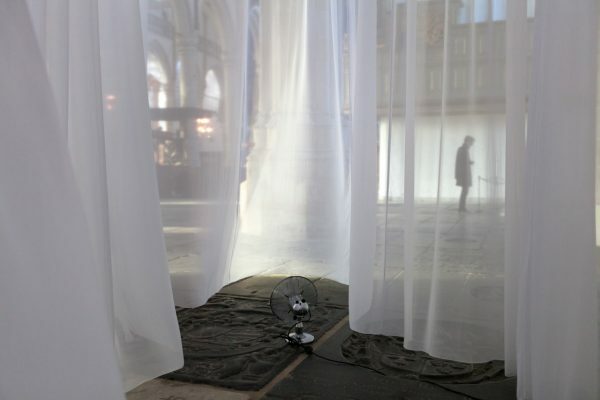 In addition, there is the Oude Kerk’s public programme Come Closer in February and March 2017, which guides you along the imaginary lines of Boezem’s work over several nights. Each evening consists of an hour of music, performances and readings, with an open bar afterwards. Art Tokyo (Tokyo, 2005), Fondazione Prada (Venice, 2013) and many other places. 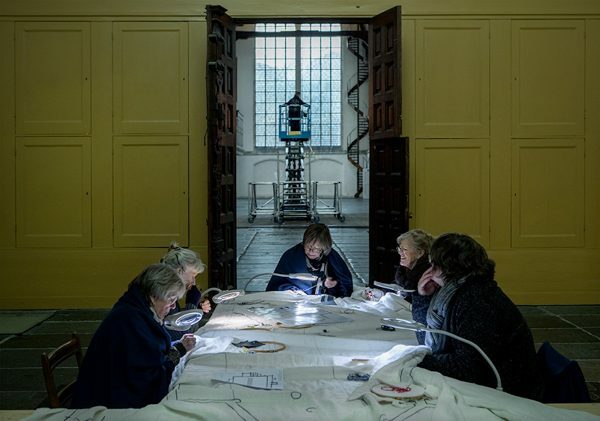 This exhibition is made possible with the support of Amsterdams Fonds voor de Kunst, Bank Giro Loterij Fonds, Fonds 21, Mondriaanfonds, Prins Bernhard Cultuurfonds, VSB Fonds , Gunco Hoogwerkers and Gerritsen Theaterkostuums.